What is it about courier girls? Odd synchronicity/confirmation bias as I read last night. I finished Zero History and read issue #1 of Image’s new comic Nonplayer. Both feature characters I hereby declare to be a sci-fi archetype: the aforementioned Courier Girl. Zero History: Fiona. London courier working for Bigend (kinda). Young, attractive, cool, streetsmart, competent. Motorcycles about town with ease in her deeply scratched yellow helmet. Rides an unremarkable Kawasaki. Scott Pilgrim Vs. The World: Ramona Flowers. Amazon delivery staff in Toronto. Young, attractive, cool, streetsmart, competent. Vehicle of choice: Rollerblades. But where did all start? To my knowledge: Y.T. from Snow Crash. It all goes back to Y.T. (short for Yours Truly). Kourier in post-fall Los Angeles. Angrily independent, dangerous, smart, and did I say dangerous already? Deals with a mafioso, a hacker/swordfighter/Cosa Nostra pizza Deliverator, cops, creeps, and a very scary obsidian-knife-wielding Aleutian without batting an eye. She rides a smart-wheeled skateboard down the highway, magnetically harpooning herself to the cars for speed. She’s it, man. Do. Not. Mess. After running into four of these characters, I think I can safely say we’ve got an archetype. Keep your eyes open for more — if you can catch up with one. This entry was posted in Uncategorized on April 8, 2011 by gala5931. 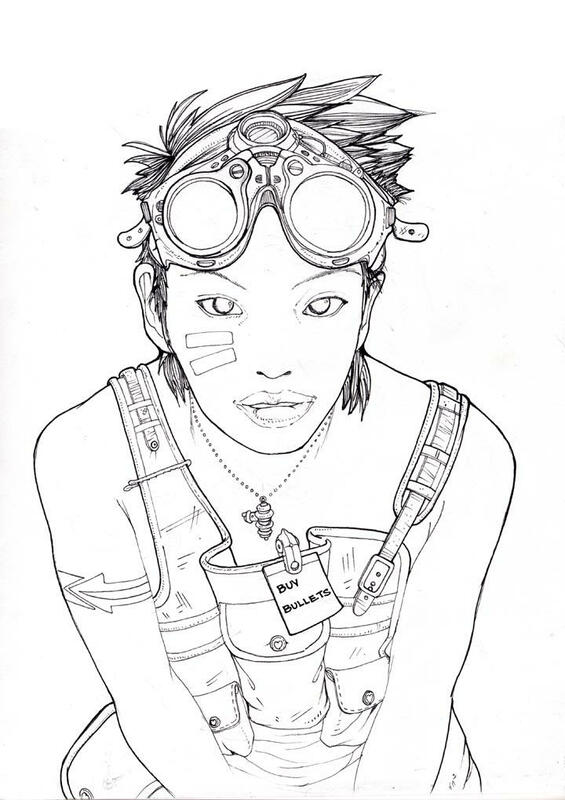 One year after Snow Crash, a courier girl named Chevette Washington appeared in Virtual Light, by William Gibson. There’s an earlier incarnation of the girl courier than Y.T. It’s Friday by Heinlein, 1982.